There were traditionally about 240 species of tanagers, but the taxonomic treatment of this family's members is currently in a state of flux. 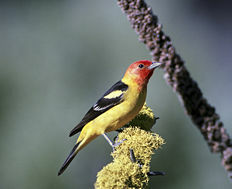 As more of these birds are studied using modern molecular techniques it is expected that some genera may be relocated elsewhere. reassigned to that family by the AOU. White-capped Tanager which weighs 114 grams and measures about 24 cm. Both sexes are usually the same size and weight. linked to the species' foraging habits. also be seen in single species or mixed flocks. 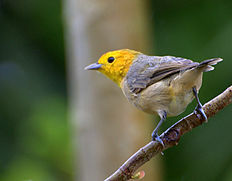 Many tanagers are thought to have dull songs, though some are elaborate. 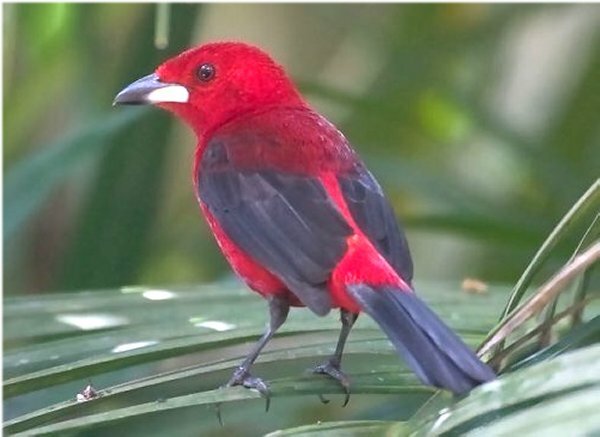 Tanagers are omnivorous, and their diet varies from genus to genus. They have been seen eating fruits, seeds, nectar, flower parts and insects. insect and catch it in the air. Many of these particular species inhabit the same areas, but these specializations alleviate competition. Darwin's finches, grassquits, atypical honeycreepers and some seedeaters. Genus Spindalis  spindalises (4 species). 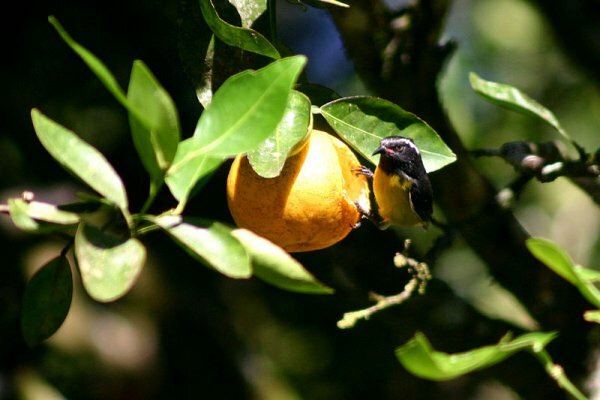 The Bananaquit is a small bird, although there is some degree of size variation across the various subspecies. Length can range from 7.5 to 12.5 centimetres. Weight ranges from 5.5 to 19 grams. 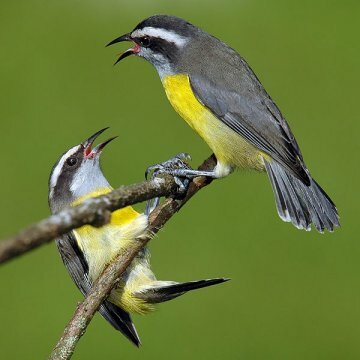 white eyestripe, grey throat, white vent, and yellow chest, belly and rump. from La Tortuga Island has a white forehead. 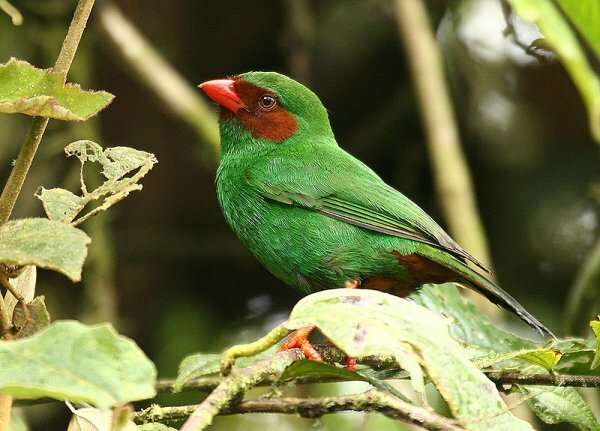 There are at present 39 subspecies. The subspecies laurae, lowii and melanornis from small islands off northern Venezuela are overall blackish, while the subspecies aterrima and atrata from Grenada and Saint Vincent have two plumage morphs, one "normal" and another blackish.The pink gape is usually very prominent in the subspecies from islands in the Caribbean Sea. insects on occasion. While feeding, the Banaquit must always perch as it cannot hover like a hummingbird. which are incubated solely by the female. It may also build its nest in man-made objects, such as lampshades and garden trellises. 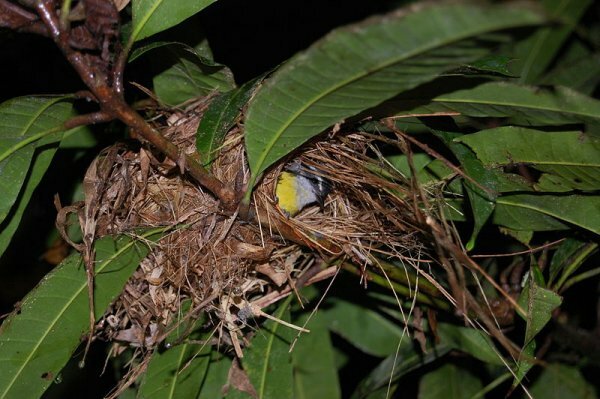 The birds breed all year regardless of season and build new nests throughout the year. 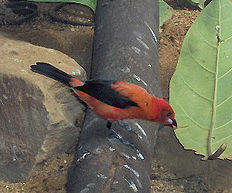 The Brazilian Tanager, Ramphocelus bresilius, is endemic to the east coast of Brazil from Paraíba to Santa Catarina. 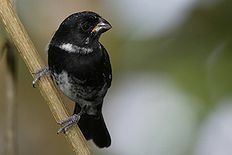 In many ways it is similar to the Silver-beaked Tanager Ramphocelus carbo which is much more widespread but does not occur on the east coast. 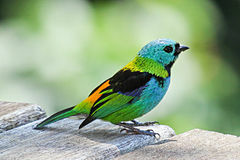 The male is, however, much more brightly coloured than the Silver-beaked Tanager. 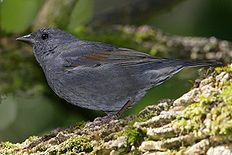 Like all Ramphocelus tanagers it has a shiny white area at the base of the lower mandible. The male acquires this plumage in its second year and immature males look like a mixture of male and female plumage. The female is much duller but only in comparison to her mate. They are very attractive in their own right.